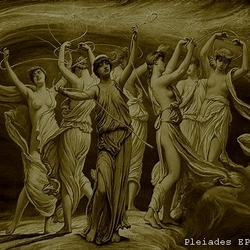 The Pleiades EP (originally subtitled ‘a.k.a. The Seven Sisters’) was originally released on the Dutch netlabel Fant00m in 2007. 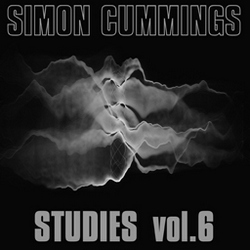 Its seven tracks occupy an electroacoustic soundworld similar to that permeating the box set, arranging its collection of recorded elements into a black ambient environment with a distinct air of theatricality. 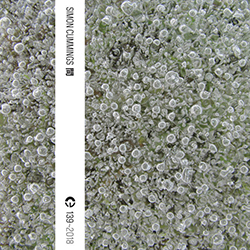 Their recurring rhythmic patterns – sometimes manifested as clear-cut beats, elsewhere more elusive cycles and repetitions – and the music’s claustrophobic monochromaticism bring to mind the better work of Demdike Stare, though Kreng is less concerned with conjuring up a past aesthetic – still less presenting an ersatz rendition of it – than with creating a contemporary habitat that feels aesthetically distant yet familiar, seemingly remote yet chokingly close. The careful deployment of short sampled sounds is also redolent of early John Wall, particularly third track ‘Asterope’, a short but evocative piece combining a bassline with skittery strings, vinyl crackle and a distant noodling piano, which together project something with more than a whiff of doomjazz. It subsequently dives into more demonstratively unsettling territory. ‘Maia’ is a beautifully focused slice of ritual – fronted by the repeated whisperings of a child, “go to sleep, go to sleep…” – the cyclings of which becomes laden with tambourines, making it feel like a private act of malevolent worship. Along the way it keeps striking against pointed accents that don’t so much rupture the music as punctuate it, acting like stylised liturgical pauses. It’s deeply immersive, and uncannily sounds as though it dates from a long time hence. ‘Taygeta’ is the highlight of the EP, bringing together the bleeps and mechanical noises of medical equipment with a string quartet motif and a quiet plinky-plonk idea. This is all creepy enough, but after a brief ominous moment of repose it resumes with wavering theremin melodies now in the foreground, making for a mesmerising, hypnotic effect, like the accompaniment for a scene in a Hammer horror movie, underscoring the preparations for something dark and terrifying. ‘Celeano’ also deserves a mention, founded over a slow beat and becoming a cross between a shuffling tenebral dance and a brooding (post-)apocalyptic cortège, seemingly taking place within a hermetically-sealed space (in the process drawing similarities to the Mount Fuji Doomjazz Corporation). 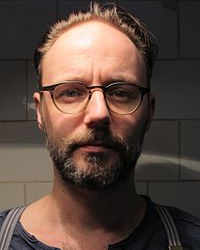 Zomer was released the following year, again on Fant00m, and as the title implies (being Dutch for summer), its soundworld is nowhere near as oppressive. Again created from the juxtaposition of cycling found sound elements, there’s a pronounced lightness, even a playfulness, running throughout many of the tracks on this EP. ‘Grappa’ and ‘Jaloers’ are prime examples of this, based on guitar loops that, although coloured with some contextually strange saxophone squawks (here sounding akin to animal sounds), remain defiantly jaunty and upbeat. ‘Paris’ is a nicely convoluted evocation of several different pasts simultaneously, channeling the rich, romanticised but faded colours of the 60s and 70s in conjunction with 90s beat patterns, to make something theoretically equal parts pop and easy listening, yet in practice something that transcends both. ‘Pover’ functions similarly, placing a brooding Chopin piano prelude amidst energetic drums that almost drown it out, resulting in an ephemeral but tense air of underlying conflict. The one track that approaches closest to what we might call the now ‘classic’ Kreng soundworld is ‘Kamer’, which provides a much more suitable environment for the machinations of the saxophone than ‘Grappa’ or ‘Jaloers’, here placing them within a soft, dronal world with gentle improvised drum and piano elements, enabling and supporting the instrument such that it can let loose wildly elaborate solos. Everything remains rooted in place though, held in check by the omnipresent drone, the track’s latter half again drawing strong comparisons with John Wall, though confusingly crossed with just a touch of Vangelis(!). 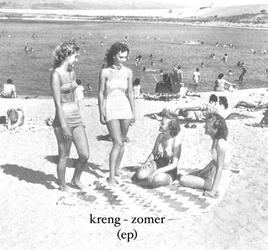 In hindsight, Zomer seems like something of an oddity within Kreng’s overall output, but it clarifies further Caudron’s compositional techniques of working with layers and loops, and what it (deliberately) lacks in black concentration it certainly makes up for in sun-filled vivacity. Neither of these EPs has ever been issued in a lossless version, so at present lossy is the only option. Fant00m, the label that originally released them, no longer exists, but both EPs were reissued by another Dutch label, Humanworkshop, a few years later. In the case of the Pleiades EP, Humanworkshop’s download is pretty low bitrate (between 128 and 192Kbps), but there’s a higher quality (256Kbps) version available from the Free Music Archive. However, don’t be tempted by their download of Zomer as its bitrate is woeful (64Kbps!! ); Humanworkshop’s version (192Kbps) therefore remains the best option (NB. track 1, ‘Daver’, is erroneously tagged as track 10). And if these EPs whet your appetite, i would recommend taking the leap into Kreng’s wondrous box set Works for Abattoir Fermé 2007 – 2011, which may well prove to be one of the most unnerving musical encounters you’ll ever experience.